Well hey there friends. Gearing up for what looks like a strangely variable week here in Mid-Maryland. The weather map has one of those big dips on it with lots of arrows and color variation. Yeah, so I’m checking highs and lows… Am I the only one who does this to decide what to eat? There are some things I just don’t like when it’s hot. Soup is okay, but stew is out. No stew when hot. It is written… right here… on this blog. At any rate I’ve got a handle on the weather and I’m beginning to get a handle on our evening activities around here. As I think I’ve mentioned before Mr. Little Sis and I have added some diversions and obligations to our various to do lists and as a result evenings have gotten a lot busier. I recently considered sending everyone on their way with a packed lunch that is dinner sized to justify just having toast and salad for dinner as that’s about all I want by the end of these busy days. I decided pretty quickly that while that would be fine with me, it would be a generally unpopular move that I would then have to discuss…. that sounded more annoying than finding the energy for a legitimate evening meal. So, back to those highs and lows. 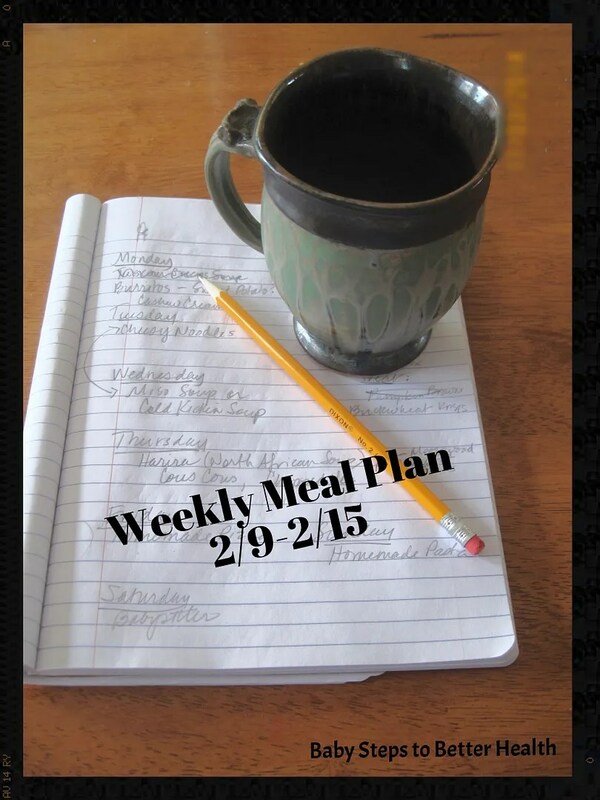 This week begins Crock Pot week – no it’s not a national Facebook thing, at least not yet. I just mean in my house, the Crock Pot can now legitimately make its grand fall entrance. It’s not going to get above 75, so out comes the Crock Pot to help make sense of the increasingly stupid schedule. Here’s hoping your highs and lows are within your tolerance level and that your curveballs are only temporary deviations! Eat well, be well friends! Shakin’ the tree… Shakin’ the food rut. Shakin’ it up. 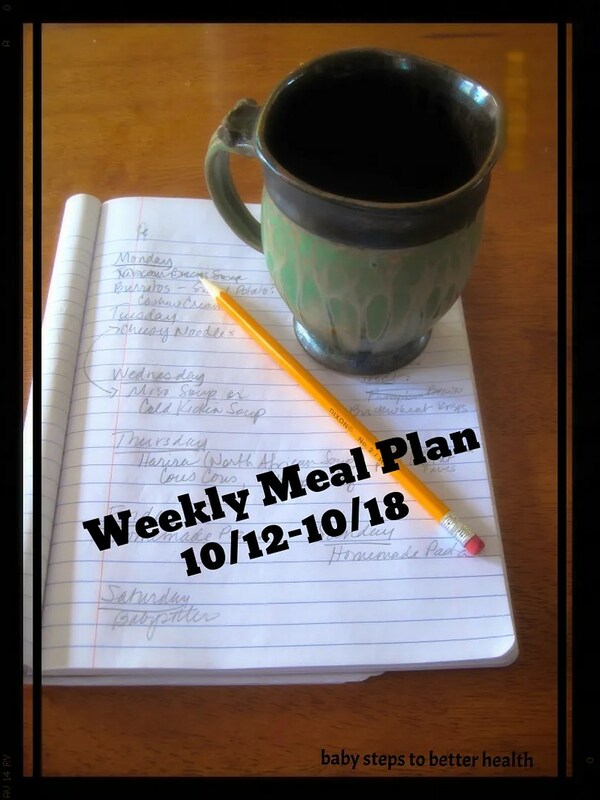 Doesn’t take me long at all to slip into a pattern with this meal planning business. I get bored. They get bored. Everybody gets crabby. Okay, so there may be more to the crabbiness than the dinner menu rut. The twins have discovered Harry Potter and Percy Jackson and have lost all their regard for lights out dictates… So we’ve begun double checking, ensuring books are down (a nice problem to have, I have to admit). Compliance has increased, crabbiness is waning. If we could get a nice day or two, we just might be getting somewhere. In the meantime, Momma needs some new dinner magic. 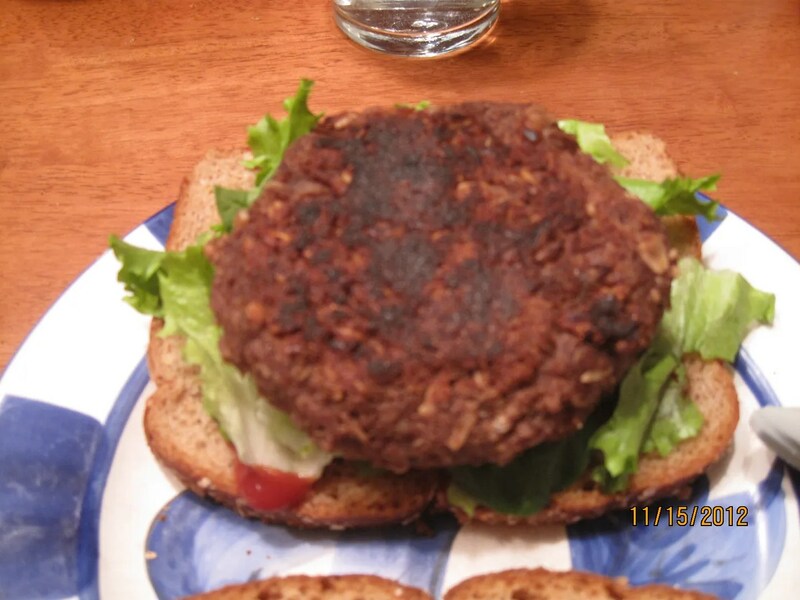 This week I’m adding a couple of recipes from the Meatless Monday website. This is a great resource for anyone trying to up the plant content of their plate, which doctors seem to be agreeing is the thing to do. What do you do when you get in a recipe rut? Me, I’m gonna shake it up a little and see where that gets me. We could all use a little tree shaking now and again. That’s what we’re up to. What’s new with you? What trees are you shaking? Anything fall yet? Eat well, be well friends! I am so blessed. A surprise drop in from good friends, lots of music, lots of play, and now a lovely snow falling in a way that makes me think we might score an unanticipated weekend recovery day with sledding tomorrow. Yay! Bring on the snow gear! Bring on the hot chocolate! Bring on the hot food! There is little better in winter than a bona fide meteorological excuse for eating comfort food. And so we shall proceed this week. Light and refreshing? No – that’s not what we’re shooting for. We want warm, belly filling, and homey. Yay! A week’s worth of comforting belly warming food and a snow covered landscape to look at while I eat. 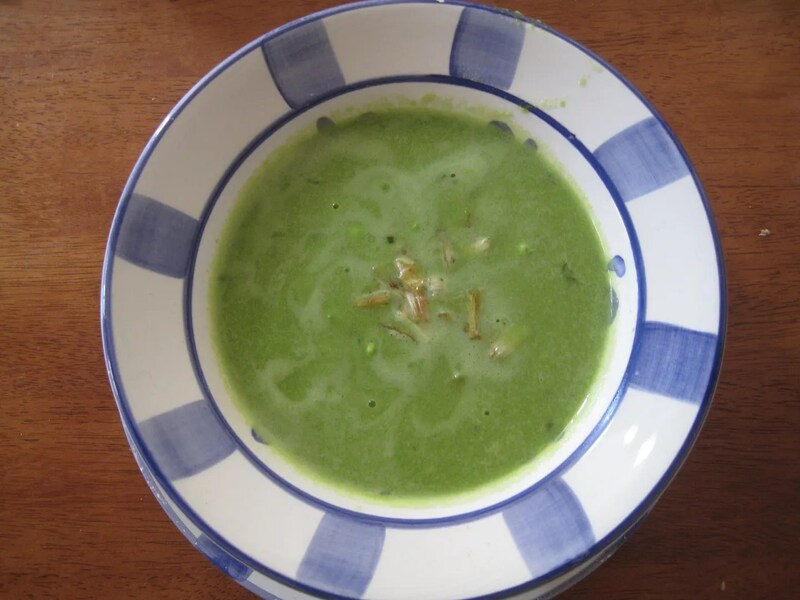 I hope your meteorological desires are being met and that you are enjoying a warm bowl of yum! Eat well, be well friends! Hey Friends! 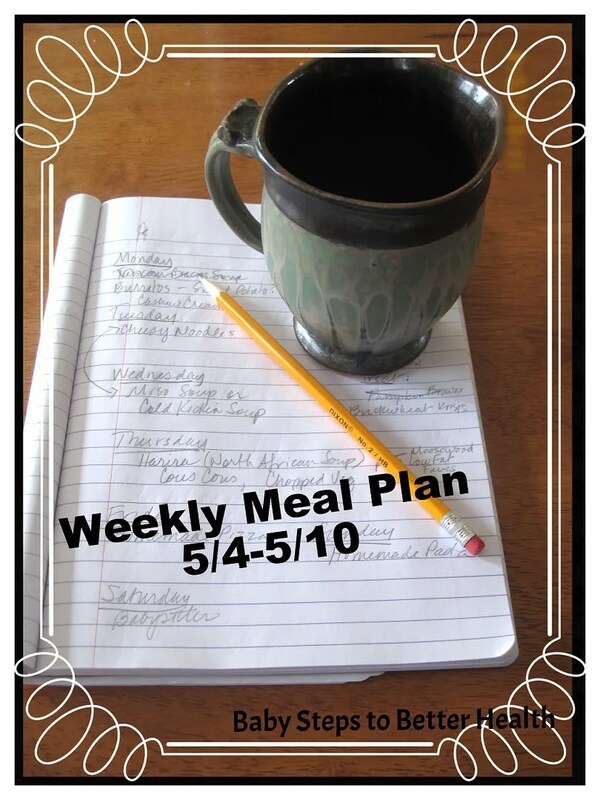 The idea of doing a meal plan this week is particularly daunting for some reason. As I think I’ve mentioned before, the holidays tend to put me in something of a state, and the closer the holiday, the harder it becomes to focus on anything but “the meal” or “the moment.” Perhaps then this is the most important kind of post to write. Perhaps taking a few minutes to focus on the other meals that we’ll be eating this week will help me gain perspective, will help me slow down a little and remember that every holiday is also a day amongst many others. That day will not be perfect no matter what I do, and being sure I am well nourished and balanced because of my efforts leading up to and away from that celebration can only help me relax and enjoy myself. WIth that in mind I will attempt to do slightly more than the slapdash job of a menu plan that I promised myself I would complete today. 😉 Or maybe it will be slapdash, but it will be done and that will be good enough. Even a quick plan full of healthy homemade food is better than nothing, right? Saturday: Dinner with Friends – Yay!! You’ve likely noticed the repetitive homemade pizza and pasta phenomenon. These are two meals that my kids love (no shocker there) and that the big people in the house thoroughly enjoy as well. Because we stretch our kids so regularly with new and unusual foods, we greatly enjoy these regularly scheduled opportunities to enjoy a healthy homemade version of something they genuinely love. They eat. They don’t grouse. We eat. We don’t’ grouse. 😉 Grouse-free evenings are an important part of any family dining strategy. Here’s hoping that your holiday is low stress, delicious, and full of good times with good company. Well friends, Environmental Working Group, the same folks who bring us the annual sunscreen report, have done an analysis of boxed cereals, and as we’ve suggested in the past, the news is not good. 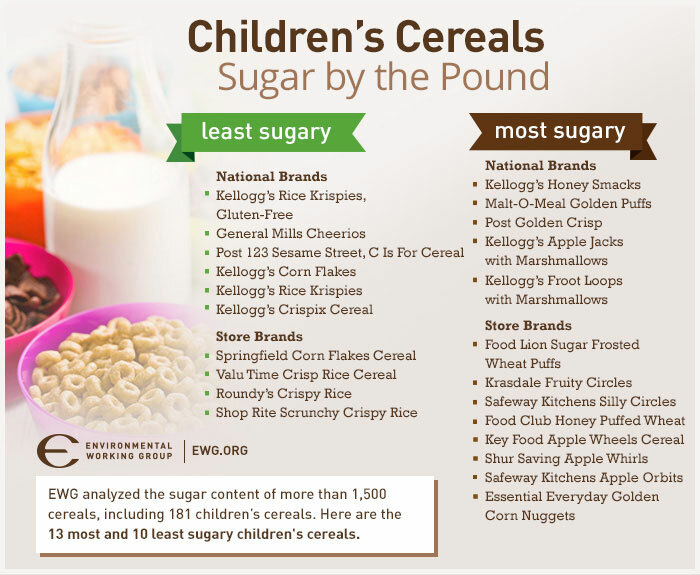 The worst of the bunch are 12 cereals that are more than 50 % sugar. Let me say that again, cereals that are more than 50% sugar. Take a moment and picture a bowl of say, Rice Krispies or Cheerios. Now picture that bowl with a line down the middle, cereal to the left and sugar to the right, in equal measure. That is what a bowl full of Froot Loops with Marshmallows or Honey Smacks is. All of these cereals that EWG places in the “Hall of Shame” are marketed with animated characters, bright colors, and some even make nutrition claims about high fiber and other benefits that are drowned in half a bowl of sugar. If you or your tribe members eat boxed cereal, give this writeup a look, see where your favorites are. If you need to make some changes, EWG has made some general suggestions on how to cut back on the morning sugar rush. In our house when the sugar numbers on cereals started creeping up (meaning above 5g per serving), we began insisting that the kids mix that cereal with one that is MUCH lower (like 1g). We also limit the quantity and will offer them other food if they are still hungry. I found that the kids would continue eating cereal long after they were satisfied. When they asked for more and I offered an alternative, they’d say “No, I’m full.” The sugar keeps them coming back, long after their appetites are satisfied. Part of the magic of that sweet demon I suppose, but one over which we have some control. Not sure why all the fuss over sugary cereals? Take a look at this on what sugar does to your brain. Or read about the insulin response produced by eating the sugar regularly included in processed foods that researchers believe may be the leading cause of obesity here. Thank you EWG for looking at this serious issue and helping to shed some light on the giant and ridiculous cereal aisle. For more information about teaching children about healthful morning choices, see Lessons From the Cereal Aisle. For more information about reducing the sugar in your diet, see Big Sis’ post about Reducing Sugar One Teaspoon at a Time. I didn’t want to say diet because the big ‘ways of eating’ or ‘eating lifestyles’ that are out there right now such as vegan, paleo and GAPS are NOT diets. They are approaches to eating and are intended to be forever, not a temporary withdrawal of something until weight reaches a desired level. And let’s be honest, the forever part sometimes comes with an amount of rigidity that can spawn righteousness, ugliness and intolerance. Can you have some vegans and some paleo eaters over on the same night and expect peace all evening? Well, with some people you can, but I know many bloggers who feel themselves to be in a certain camp who are then lambasted by people who feel they are either in the wrong camp or have swerved too far out of the campsite……even if they were chasing a fabulous butterfly or helping their child get to the latrine at the time! It’s odd, because as a nurse I can attest to the fact that different medications have different effects on different people. Same species, different effect. There is huge variety between members of our species regarding allergic reactions, effect on bowel movements, mood, and weight, even one eats the same exact thing as the person standing behind him or her in the cafeteria line. Why then would we assume that the same eating lifestyle would be optimal for everyone? It won’t, and it isn’t and so there. So where does this leave us and why am I risking getting flamed by the tee-totallers? We are left with the common ground to the eating lifestyles and I use the word ‘ground’ on purpose. The Lifestyles: Paleo, Vegan, GAPS and many others, recommend in one way or another that you eat natural foods and avoid processed foods. They can all agree that it is good to eat more vegetables, eat less Twinkies. Eat more that either came from the ground, or from something that ate something that came from the ground, and less pre-packaged, pre-chemicalized, pre-preserved, pre-pared by someone other than you or your Aunt Marge, foods. As often as possible. All of the lifestyles have marvelous science, tests, books, and even movies to back up their point of view, but I know from years of experimentation that there is no one with the exact same digestion as me. I know for a fact that I can not do dairy, and have a very tough time with beans, but that is not true for everyone. I do not have any physical problems eating meat, but frankly I am much more comfortable eating meat that came from well-treated, naturally fed animals and I can not afford to do that often so I eat less meat. Me, me, me, it’s all about me isn’t it? Well, when it comes to what works for ME nutritionally speaking, yes. There are valid arguments about how the raising of different foods affects the planet and I take that into account in my purchasing, but it ain’t easy feeding a family ideally all the time. Here’s another reason to drop the flags and banners and just educate people about the very real trouble with processed foods and the Food Industry. If you narrow your diet too dramatically you miss out on a lot of delightful social happenings. If I can’t eat at anyone’s home but my own then I have seriously limited my experience of the world and I would miss the interactions that tend to happen when people gather to eat. Sometimes at a gathering, celebration, restaurant or party you just have to do the best you can with what is there. Of course people who eschew animal products for ethical or religious reasons have to be choosier, but it is very rare that there is not something edible for most everyone. 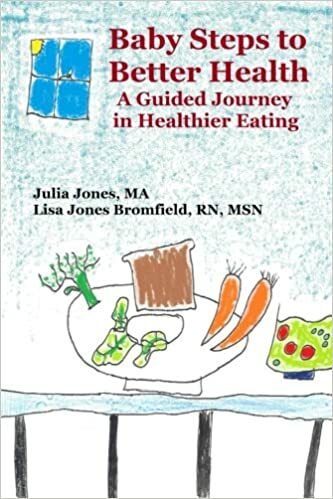 So back to an eating lifestyle…… Little Sis and I began the Baby Steps series because it is difficult to attain a healthier, much less completely healthy, lifestyle. Making changes to your diet is difficult and believing that life is all vegan/paleo/GAPS all the time or nothing, leads a lot of people to failure in making lifestyle changes. Pay attention to and try to decrease the amount of processed food in your diet and you are choosing the bottom line element of lifestyle eating that has so powerfully affected people’s lives that they think their way works for everyone. Maybe the common denominator of less processed food is also the common denominator for feeling and looking better with these changes! Everytime you eat more healthfully……you are eating more healthfully! Seriously. That is WAY better than less healthfully. If you need some encouragement, check out our Baby Steps series and our Sugar Busting series, because unfortunately, sugar outside of plants and milk is a processed food and is heavily present in most processed foods. I often counsel patients who are trying to improve their eating habits / lose weight / lower blood pressure, etc. to start with the vegetables. Eat more vegetables up front and there won’t be as much for the other stuff….preferably the other stuff is the least processed possible, for you, at this time, in this situation with these people. It’s really all you can do and still remain mildly sane – personally I have given up on totally sane! Things have been a little rough here at the Northern office of the pantry. 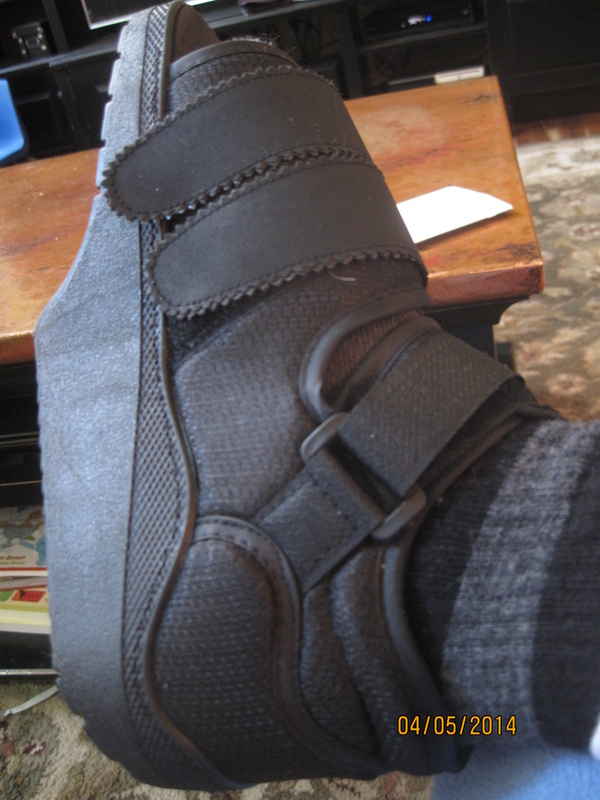 I’m now 4 weeks out of foot surgery and while things are decidedly better, I am still somewhat limited in my activities and as the day wears on I get pretty uncomfortable from swelling and aches associated with walking on this ridiculous contraption. As a result, my desire to stand and cook for extended periods of time is pretty limited. While I was sitting on my fanny for the initial two weeks after surgery, I did have the opportunity to come across a feature in Vegetarian Times on “30 Minute Skillet Suppers.” Yes, please. So last night I gave one of these a go, and in my usual fashion I made some modifications to make it just right for my family (yogurt out, cashews in; serrano chile out – red pepper and chile powder in; fresh ginger out – powdered in). This experiment was wildly successful, and it really did only take 30 minutes. The cashews balanced the spice and I love the texture they added. The greater adjustability with powdered chili allowed me to knock it down for the kids and adjust on the plate for Mr. Little Sis. My sore feet and legs were spared extra standing and our little tribe got to enjoy some fabulous Indian flavors for a very reasonable price, right there on a weeknight in our kitchen. Warm oil in large skillet (I used cast iron – the pan should be relatively deep). Add onions and a sprinkle of salt. 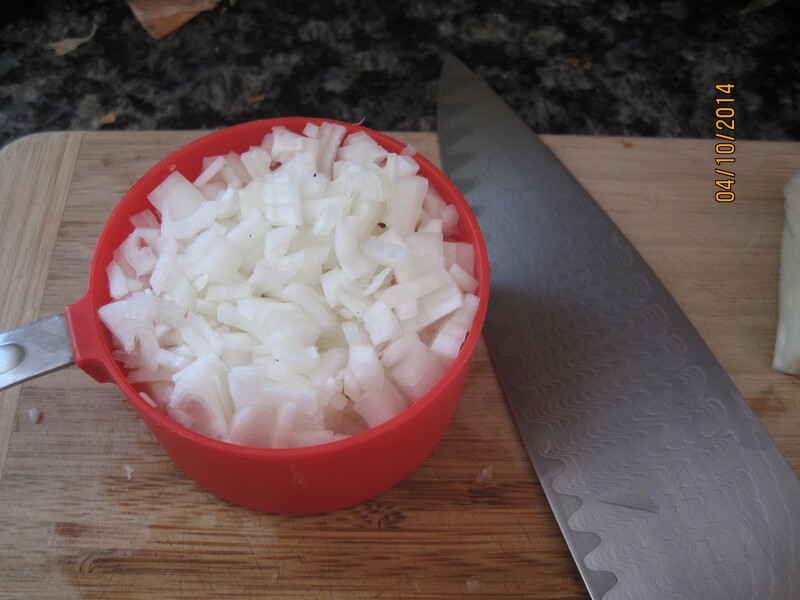 Sauté onions for about 5 minutes on low-medium heat, until onions are translucent. Add tomato paste and spices (other than paprika and chile). Cook for another minute or so – until the spices become fragrant. Add peppers and sauté about another minute. 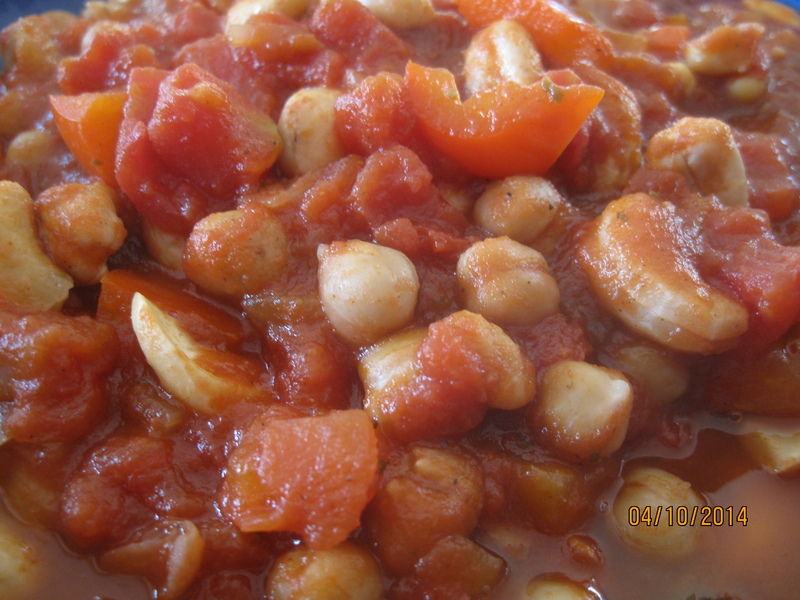 Add chickpeas and tomatoes and bring to a boil. Lower heat to simmer, add cashews and remaining spices. Simmer for at least 15 minutes, stirring occasionally. We served ours with leftover rice and chopped cilantro as a garnish. Absolutely delish and deeply satisfying. 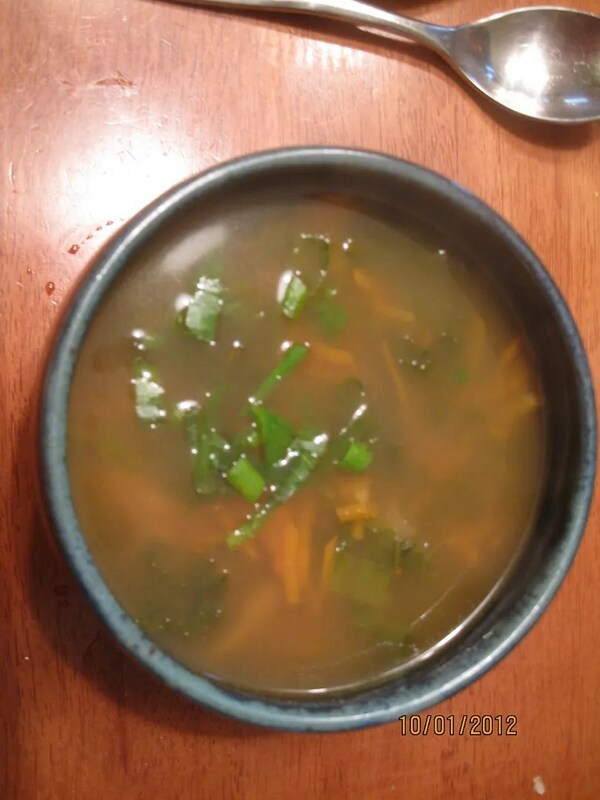 For more quick dinners, as well as some thoughts on convenience food, check out Big Sis’ post ReCon Convenience, Step 7 in our Baby Steps Series. Digging Indian flavors? 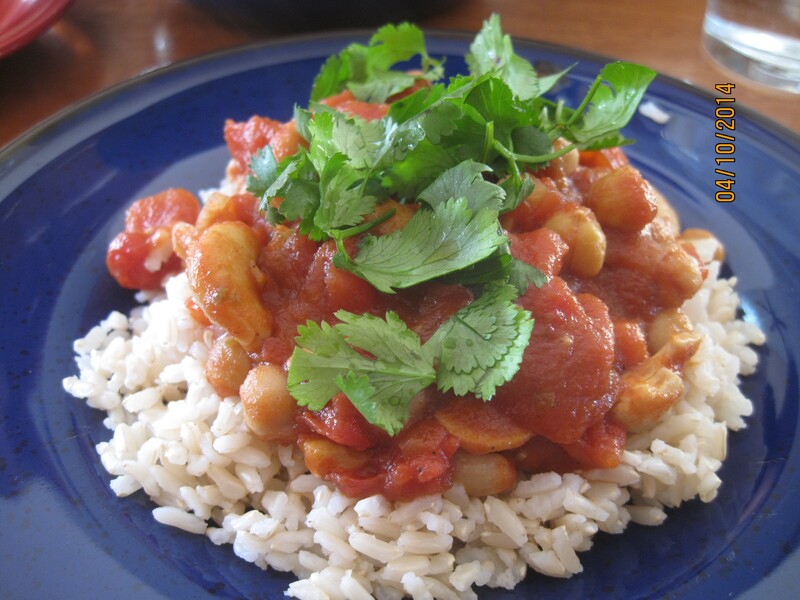 Give these dishes a try: Mulligatawny Soup, Pakistani Lentil Kima, and Cashew Carrot Curry. By now I suspect you’re getting a little weary of legwork. You’ve experimented with a swap, you’ve kept a food journal, and you’ve investigated your pantry, and you’ve thought for a bit about how to get those with whom you eat the most on board with the idea of a new approach to food. You didn’t realize you’d already done so much, did you? Didn’t do it all? That’s okay. Jump in here, go back to the beginning and start there – whatever. There is no timeline. The only due date I’d like to suggest is that you do something today. No, don’t wait until January… Waiting until January means losing a month of taking baby steps down the road. Yes, there are more holidays coming, and you can decide how to deal with them, but they aren’t TODAY. There’s no reason you can’t get a little ahead of the game and celebrate whatever season it is for you with a glow of better health and the satisfaction of knowing that in addition to anything you’re doing for others, you’re also taking care of yourself. Convinced? Yay! It’s time to make a plan…. Gather your stuff. Get that food journal. Open that pantry door. Peek in the refrigerator. 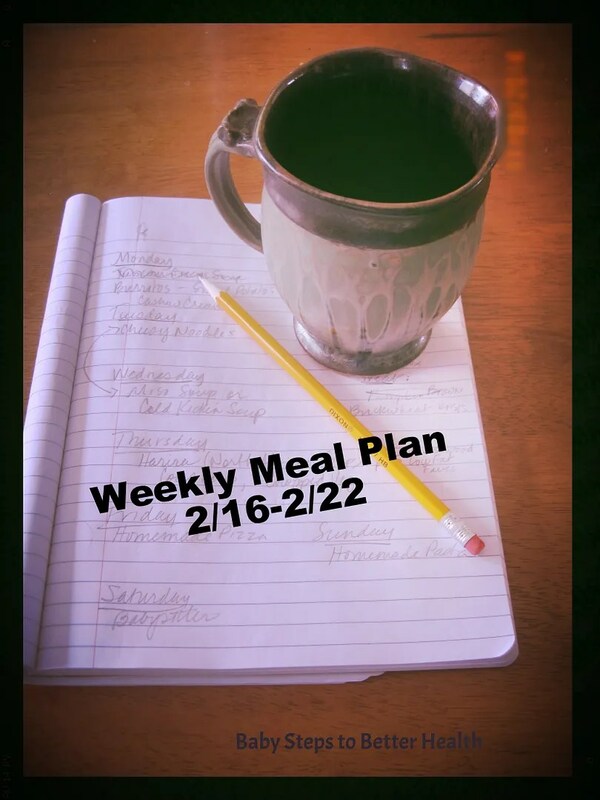 Your mission is to make a list of foods that you’d like to baby step out of your diet. No, you don’t need to come up with a specific number. And yes, we will help you figure out which ones to start with if you’re not sure. Let’s see if we can’t make some progress with a few simple questions. As you look at your food journal, is there something that you know is unhealthy and that you eat regularly for the sake of convenience or to treat yourself? Perhaps you have a soda habit or a frappucino addiction. These are perfect places to start – a food that is not a meal, it’s offering no nutrition, and it’s loaded with sugar. Am I telling you to ditch them altogether? You know me better than that. 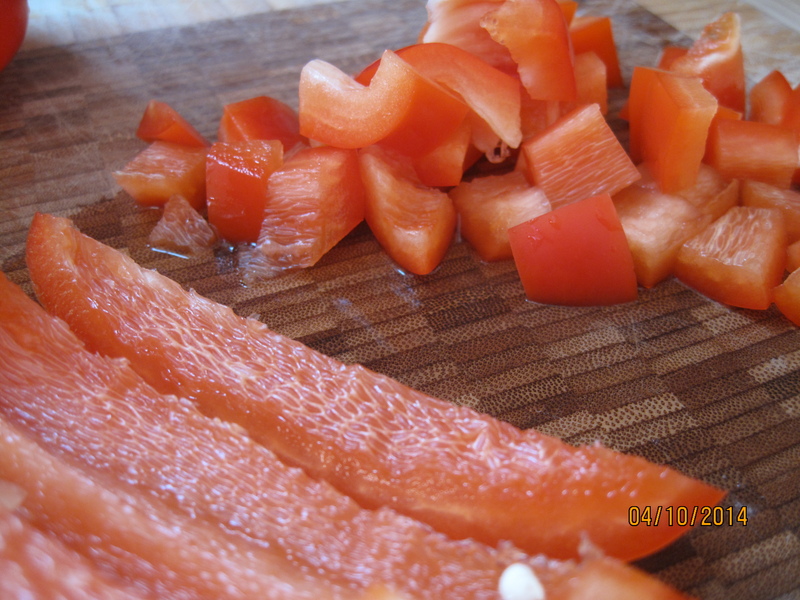 Cut them out, cut them down, wean yourself, swap them out for something healthier. Whatever a baby step is to you… do that. As you consider your food choices, does carry out or fast food play a major role in your lunch or dinner meal planning? 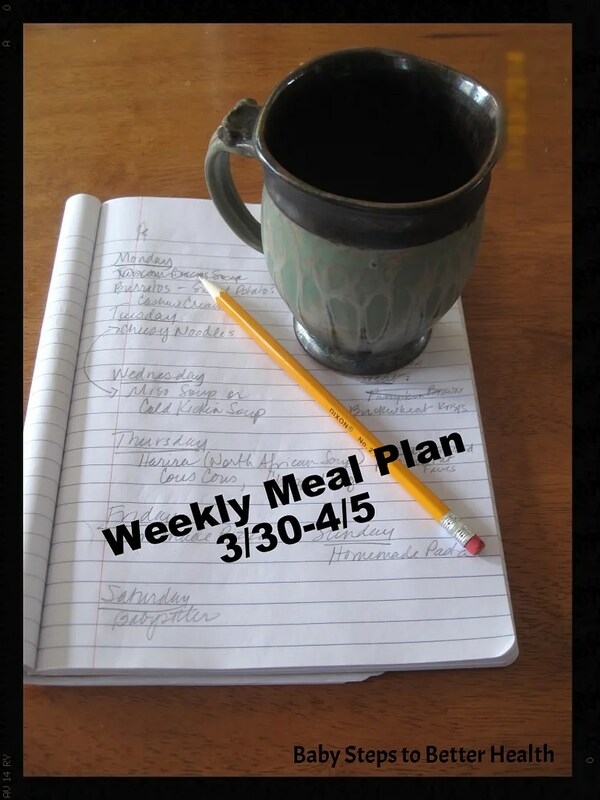 Set a goal for eating one more home cooked meal or one more brown bagged lunch per week than whatever your current total is. As you examine that pantry you’ve already peeped in, take notice of the number of packaged snacks. This is an excellent place to experiment with some snack swaps or learning to make a homemade snack. As you peek in the fridge, take notice of the beverages that are available. How many of them are sweet? How many of them are juice or juice-like? Another excellent place to get started. Remember, you don’t have to throw it out (unless you want to, and I’m certainly not going to stop you). 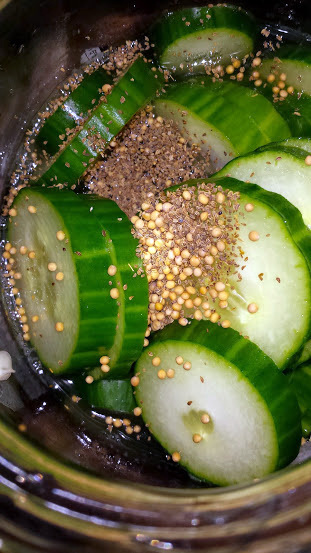 Cut the amount, cut the frequency, mix it with water, swap it for something healthier. Still not sure where to get started? Some basic categories you should consider: foods with a lot of sugar or corn syrup, foods that contain excessive fat (especially hydrogenated fats), foods that contain excessive sodium (in all its forms), and highly processed foods (like those that stay good for a REALLY long time). Still at a loss? 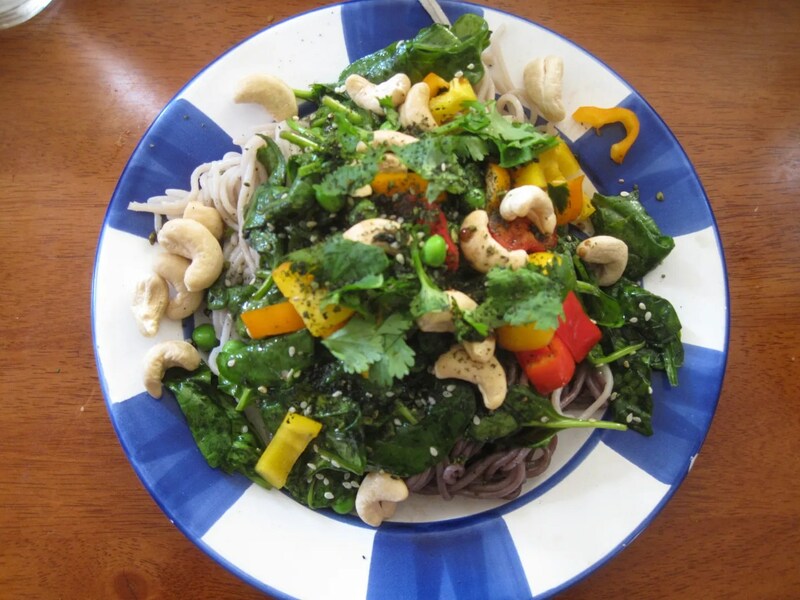 I’m going to point you toward Michael Pollin’s food rules – eat food, real food, mostly vegetables. So am I going to do all of these at once? Maybe, but I won’t cut them all out. For my caffeine problem, I’m switching from two large mugs of my beloved coffee to one of coffee and one of black tea. The next step will be to switch the black tea out for green tea. Then black tea in the a.m., green tea in the afternoon… you get the picture. I have reduced caffeine before and in addition to the headache, I’ve found that being abrupt on this one makes me miserable and inflicts some level of misery on those around me…. so I’m going to step it down, achieve my goal at a pace that allows me to make adjustments, allows me to tame my body’s addiction over time without being a horrible grouch for the holidays. Once you’ve got a list of things you’d like to cut/limit/wean yourself off of, choose a starting place. Pick one of them and consider how you want to proceed. Limit the quantity? Swap it out? Cut it altogether? Your answer will be different from my answer – what is a baby step to you may seem like a huge leap to me. This is YOUR plan, not a test of your character, but series of decisions you get to make for yourself. Finally, write down the steps you’re going to follow to get started on that change. If you’re going to limit your quantity, write down how that’s going to work – what’s the new limit and what are you going to do to replace that item? If you’re cutting a sweet treat in the middle of your work day, what are you going to either eat or do to replace that ritual? Write it down. Write down your start date (today) and then give yourself a goal date for reaching whatever your desired change is on that item. If you want to ditch chewy granola bars, write down when you’re going to start (today), write down what you’re going to do instead (there could be a few steps here), and write down the date by which you hope to be done changing this food habit. Does that mean you’ll never eat one again? Maybe, but probably not. Remember what Big Sis said – the key to healthy eating is making healthful decisions as often as you can. Establish a new pattern so that the chewy granola bar (or soda, or candy or drive through) is an exception rather than the rule. Open the door to improved nutrition and prepare to be wowed as your taste buds come back to life and you discover new satisfaction in eating for your health. And just in case you’re wondering, this isn’t all about what we cut out… we have plenty of suggestions about what to cut in. A little delish, morning, noon, and night comin’ up. If you need help with some swaps, read this step. No suggestion that works for you there? Ask us! We’ll answer, and probably some others will too. You don’t have to figure it all out yourself… and if you don’t like your plan a week from now, know what you get to do? Change it. It’s YOUR plan.